They say, the best life experiences comes from traveling. Every trip matters because it gives us long-lasting memories and unique experience. Learn, grow, take risks, explore and enrich yourself with every trip. Beautiful destinations, cultures, flavors, bizarre experiences are life-changing events, and by documenting and sharing your story, you can learn about yourself and impact the lives of others. Your story gives voice and life to actual people and places around the globe. These Travel WordPress themes will provide you all the resources you need so that you can build a stable and long-lasting website. They are packed with easy, powerful and amazing features that give you full control over every element of the theme. Visibility, beautiful design, speed, customer support, variety, accessibility! The Share theme is the right theme for you if you want to share amazing stories and create lasting memories. It can easily be implemented in personal journals or travel blogs. It is completely responsive, and it can be featured on all types of devices offering your readers more options and flexibility. Now you can have videos, links, images, audios, quotes and statuses all in one place, and the best part is that you can customize the presentation of a post with enhanced post format support. The WordPress customizer offers several customizations options that allow you to change color and modify settings so you can see your changes live. Share also integrates social networking plug-ins such as Facebook, Twitter, Google+ and LinkedIn. This theme is compatible with most popular plugins such as SEO by Yoast and it is valid with HTML5 and CSS3. Translating the theme into any language is quick and easy with the included .po & .mo files. Enjoy multi-language support 100% compatible with WPML and create an original website that everyone will appreciate! Ness is definitely a valuable asset! It is packed with many useful features, assuring that you may create an inspiring travel blog and personal blog. 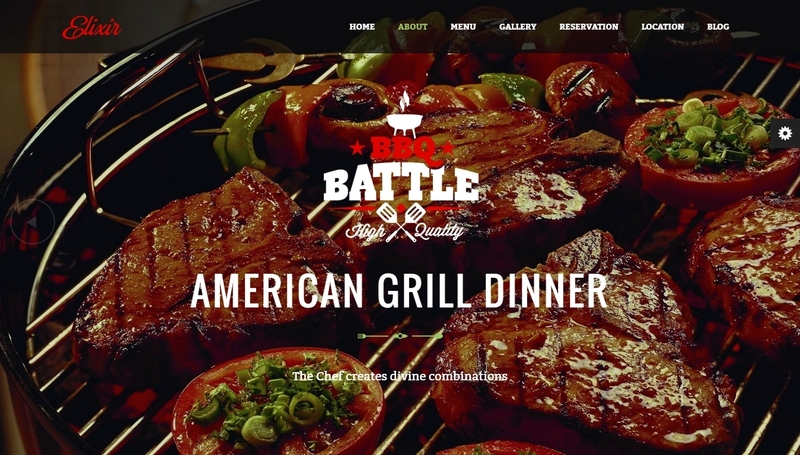 The theme is fully responsive, meaning it looks perfect on any device such as smartphones and tablets. The colors are vivid and bright because you get more pixels per inch on retina ready devices. It comes with many typography options, in-built advertising, custom widgets, category/tag options, posts featured, homepage options, and many other outstanding features! What is really cool is that Ness comes with a progress bar that shows how much of the article is left encouraging readers to read the entire article. Pretty unique, right?! Looking to create a beautiful blog for those who love traveling? Quint is the right theme for you! It is a fully responsive WordPress theme and well optimized for all mobile devices such as tablets and smartphones. It incorporates many typography variations, unlimited colors Accent Choice, custom widgets, RTL Support, post formats support, homepage variants, Contact Form 7, custom shortcodes and versatile theme options that are powered by ReduxFramework. Quint is optimized for the search engine, ensuring that your site will be featured on the top of search engine rankings. The latest WP Version Compatibility will help you identify any bugs, deprecated functions or other incompatibilities your theme might suffer from. This theme has everything you need to create a blog that everyone will love to read and share with others. Sachiko is a WordPress theme just perfect for daily or hobby bloggers who love to share their experiences, whether it’s about life, fashion or travel. This theme is packed with powerful and amazing features that will help you to create a beautiful travel story and share your travel experiences, trip itineraries, photos, reviews, maps, favorites places and authentic memories. To help bloggers to share their stories in the most compelling way, Sachiko features several customizations options that are available via WordPress Customizer. 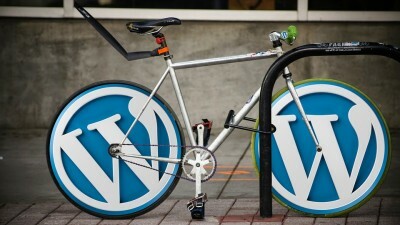 Also, it is compatible with WordPress 3.9. The one-click demo importer assures that the installation process will not last long. It includes many features such as useful shortcodes(20+), fullwidth / sidebar post layout, footer gallery, page builder and translation ready. You can display your categories and sub-categories in a multi-column drop down menu. This theme offers support for Typekit and & Google Fonts to create beautiful and original typographic designs. We know you’ll love it! A beautiful and clean blog WorPress theme for people who tell stories. You can choose from 6 homepage layouts and find the best one to share your experiences and adventures. Francoise is designed to work great on all platforms, assuring customers of its consistency and responsiveness. An amazing Uni Avatar was added, along with 5 distinct layouts for your blogs. The AccessPress Social Pro will allow anyone easily share your blog on major social media and display your social accounts fans, subscribers and followers number on your website. 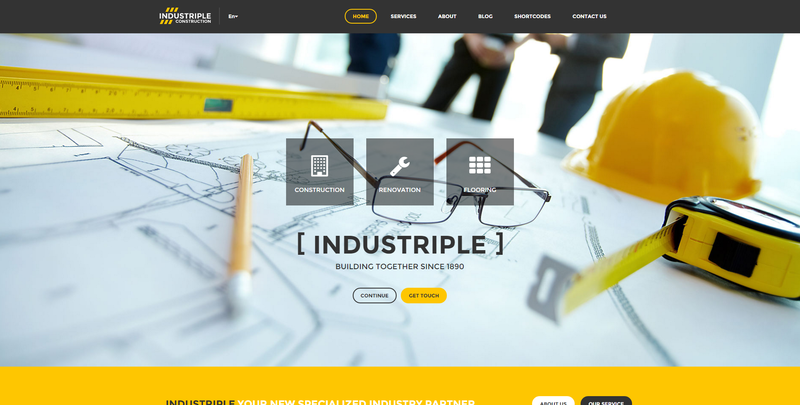 This theme is built on the innovative Bootstrap 3, and it is entirely customizable thanks to the advanced Admin Panel. AvantGarde is very flexible with unlimited sidebars, 5 post formats for audio, gallery, link, quote, and video, 7 Custom Widget, extended documentation, limitless colors, contact form and other. Capture and share your travel experiences, advice, tips, destinations and more with all travel lovers. It doesn’t matter what language your visitors speak, this theme makes your story accessible in other languages. Enjoy every post in full screen! This amazing theme does a great job in positioning your website properly to be found when people need your site. You can’t go wrong with this incredible package. 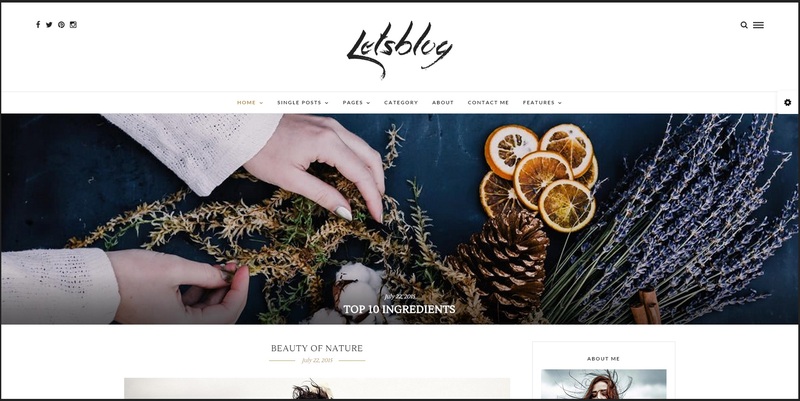 Elantra is a simple and elegant blogging theme packed with many premium features, like 11 + 1 custom widgets, share buttons, 10 post formats, all kinds of post types and social icons. Get creative with unlimited colors and more than 600+ Google Web Fonts. 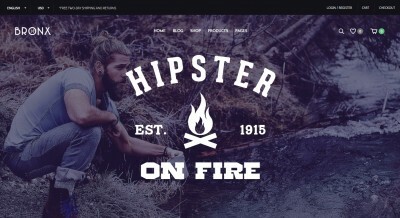 The theme is built on Bootstrap and loaded with great features and options. From Options you may choose slider/carousel option, enable sticky header, smooth scroll, Masonry (2/3 columns) or Simple Blog Layout, and that’s not all. You may choose 1/7 pre-loader animation. All posts images/flick widgets images open in Magnific Popup Window. It is well documented in HTML, Contact Form 7 is simple and easy to use and it is compatible with WordPress 4.1.1. This theme definitely has the best tools for travel bloggers. The perfect blogging theme for food, travel, photography, family, lifestyle, fashion, design and much more. It is also armed with powerful features such as shortcodes, social integration, easy to manage widgets. Unique header and footer builders let you combine more than 40 options to build footer and headers that will perfectly suit your website’s needs. There are over 600 beautiful Google web fonts and they can be applied easily, thanks to the Theme Options. In addition, Birch incorporates more than 500 Font Awesome icons. This theme is fast to load and features Ajax lazy load effect for images to make them appear smooth and with style. The Documentation is extensive and informative, explaining everything in detail. Sabana is a responsive WordPress theme recommended for personal blogs, travel, fashion, music, diary, food and recipes websites and many others. It is built with HTML5 &CSS3 and it is compatible with WordPress 4. 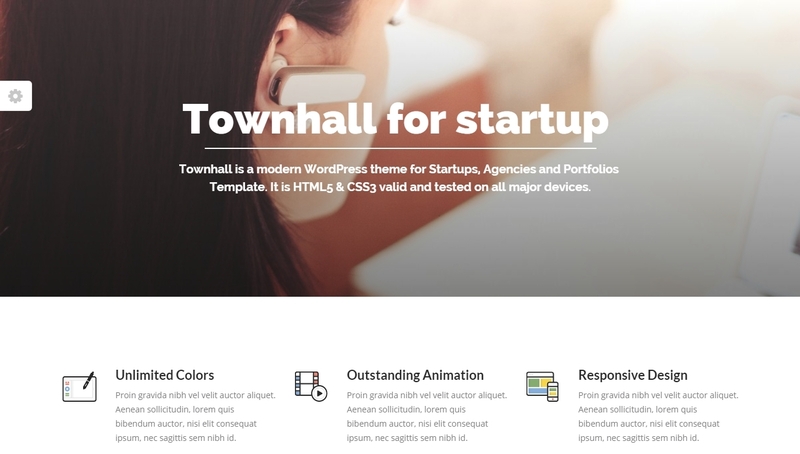 This theme supports WordPress post formats for standard, gallery, image, audio and video which give you easiness in displaying your content with various formats. Also, it features four header layouts, two content layouts, useful custom widgets, and easy and user-friendly theme options panel which make your work easier and bring the beauty on your blog. This theme works great on all platforms, including tablets and smartphones. Now you can display websites, images, and other content in a beautiful way. Create impressive image gallery with lightbox. This plugin is focused on performance and providing the best experience for user with any device. Dropdown Menu widget adds a beautiful, CSS only drop-down menu, listing pages, categories of your blog. You can also turn your WordPress navigation menu into a beautiful dropdown menu using this plugin. This theme comes with a couple of custom page templates, color customization options, and post formats. Customize various aspects of the theme, from colors and layouts to widgets, menus, and more thanks to the versatile WordPress Theme Customizer. You’ll be able to upload your header image, colors, logo or to change the site title and tagline, copyright and more. Jetpack adds powerful features previously only available to WordPress.com users including customization, traffic, mobile, content and performance tools. 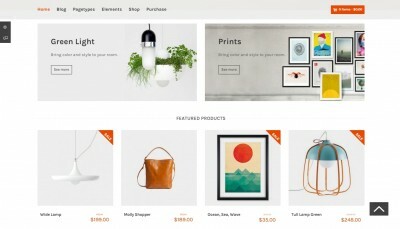 Build a beautiful shop page with WooCommerce. Your story matters and you have to tell it. This theme comes with powerful tools that capture and share your authentic thoughts, emotions and reactions.